I really enjoyed our work week full of Depression meals...and I learned soo much! I thought it would be fun to post a lesson plan for kids on the subject! 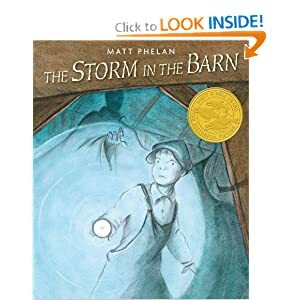 I was inspired after my bloggy friend, Valerie, wrote to me about a book she had used to teach her third grade students about the Depression. 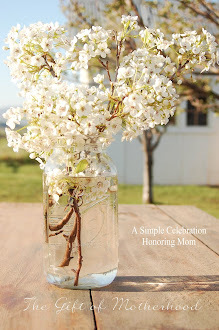 She was so sweet to send the lesson plan, too! We love books, and this one looked so great I ordered it right away. Just click on the picture for ordering information. This Depression Era story paints a realistic picture of the hard life of American farm families during the l930s. Leah decides to sell her beloved pony in order to raise enough money to help her family keep their farm. The day of the farm auction arrives - what will happen to all of Mama and Papas prize possessions? Definition: The price is what people pay when they purchase a good or service, or what they receive when they sell a good or service. Market prices are determined by supply and demand - the buying and selling decisions of producers and consumers. 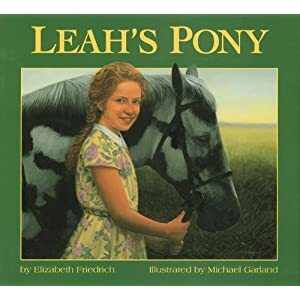 Why was Papa able to buy Leah a pony at the beginning of the book? Papa had a very good (tall and straight) corn crop. We can infer that he probably produced a lot of bushels that year and got a corn price high enough to afford the pony. Why did Leahs family have to sell their possessions? Leahs papa had borrowed money from the bank to buy seeds, but the seeds had dried up and blown away. Now they had no crop to harvest and sell in order to pay back the bank. Even if the market price of corn was high, papa had no corn to sell! The bank was going to sell the family cattle, chickens, pickup truck, tractor, and other farm items to recoup the money it had loaned to Papa. The bank was going to sell the familys possessions in a farm auction. What is an auction? How are prices determined in an auction? In an auction, items are sold to the highest bidder. The item is supplied by the auctioneer; the item is demanded by the those bidding on it. Thus, in an auction, the price is determined by supply and demand. How did Leah decide to help her family pay back the loan to keep from selling all the farm animals and equipment? She sold her pony to Mr. B., the grocery store owner. She used the money she earned from the sale to bid on items in the auction. What was Leahs opportunity cost when she decided to sell her pony? Leah had a choice to sell or keep her pony. When she chose to sell the pony, her opportunity cost was giving up all the benefits of riding the prized possession she loved so much. Explain how selling the tractor in order to keep the land would affect the family. Selling the tractor (a valuable capital resource) at a high enough price would help pay the bank debt; however, Leahs father wouldnt be able to plant anymore corn without a tractor. This might force the family leave the farm. Explain how Leahs neighbors helped her family save their possessions. The neighbors held a penny auction. (See Authors Note in back of book for information about a penny auction.) Rather than purchasing papas possessions and keeping them for themselves, they bid very low at the auction, purchasing the items for very small amounts of money. After the auction was over, they gave the items back to Leahs family - absolutely free! The penny action helped Leahs family save their possessions? How did it affect the bank? It hurt the bank because the bank was not paid back for the money it had loaned to Papa. Many banks failed during the Great Depression because many debtors were not able to pay back loans. How was Leah rewarded for her efforts to save her familys farm? Mr. B., the grocery store owner, gave her back the pony for helping to save her familys farm. 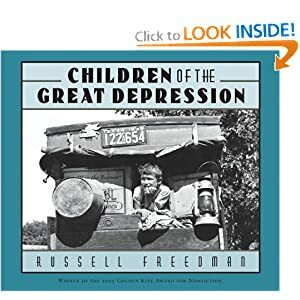 *It would be fun to tie in a weeks study and read the books below, as well as use the Depression Era recipes and cook a few meals like they would have had back then. *Take a day and play Monopoly with your kids...it came out during the Depression! *Here is another great link to Depression lesson plans. In 1932, Akron, Ohio was no better off than other parts of the country. Since Black Tuesday in 29, companies are closed, men all over the state are out of work, and families are running out of hope. Thirteen-year-old Rudy wants to help but doesn't know where to turn. His father, sullen and withdrawn, spends his time sulking on their front porch. His mother is desperate, not knowing how she will feed and care for her family. 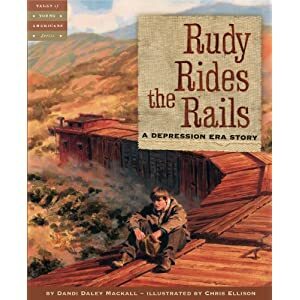 When Rudy learns of other boys leaving town and heading west to seek their fortunes, he hops a train figuring at least there will be one less mouth to feed at home. 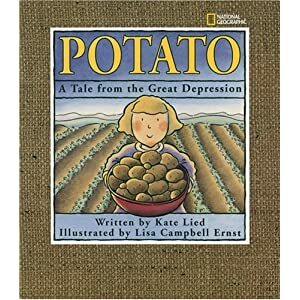 When Dorothy's father loses his job and cannot find another, the family borrows a car and sets off for Idaho where jobs digging potatoes can be found. The author was eight years old when she wrote this family story told to her by her aunt. Bonnie loves to sing while her father plays a fiddle. In better times, the family was happy in its modest home. But hard times took away Bonnie's father's job, then their house, and then even her father's fiddle. Hearing the unkind remarks of a neighbor, Bonnie's father leaves to search for work at the nearby port and to relieve the economic burden on his wife, who has started to take in laundry. A distraught Bonnie determines to take her dog, Caesar, and go find her daddy! In her search, Bonnie discovers the pivotal part she can play in rescuing her family and restoring their lives. 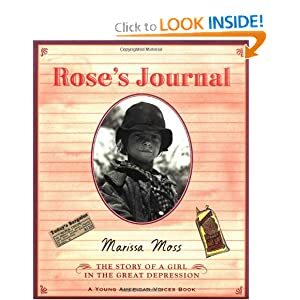 On January 1, 1935, Rose Samuels bids good riddance to a dry, desolate year and begins a new one. The severe drought has left the fields too dry for crops and the farms are all failing. Times are tough, but with hope, love, and determination, Rose and her family manage to turn the year around. 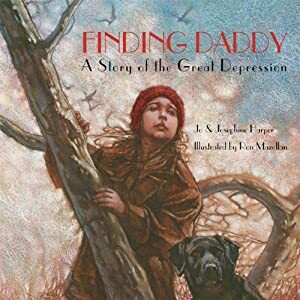 Drawing on memoirs, diaries, letters, and other firsthand accounts, and richly illustrated with classic archival photographs, this book by one of the most celebrated authors of nonfiction for children places the Great Depression in context and shows young readers its human face. What an excellent study. So important for young minds to learn from and understand. Thank you for all of your book suggestions and recipes from this era. There is so much the children and ourselves can learn form this time period. Love all the other books you shared. I can't wait to get even just a couple to share with my own kiddos. You've inspired me to get out pen and paper and talk with my grandmother. She's 91 and would have been 9 years old on the day of the Stock Market Crash. That means she spent her entire teens years during the Great Depression. I think it will make for a fabulous family history! AND, I'm going to try a couple of your Great Depression recipes. Can't wait! I think my bookworm will be so happy to get her hands on these. Thanks for giving us those titles with meaning.